Havent gotten your fill of THE WALKING DEAD yet? Good! Because AMC just announced the launch of a new, nasty web series called FEAR THE WALKING DEAD: FLIGHT 462. The show is produced by FEAR THE WALKING DEAD showrunner and executive producer Dave Erickson and co-executive producer Davie Wiener. 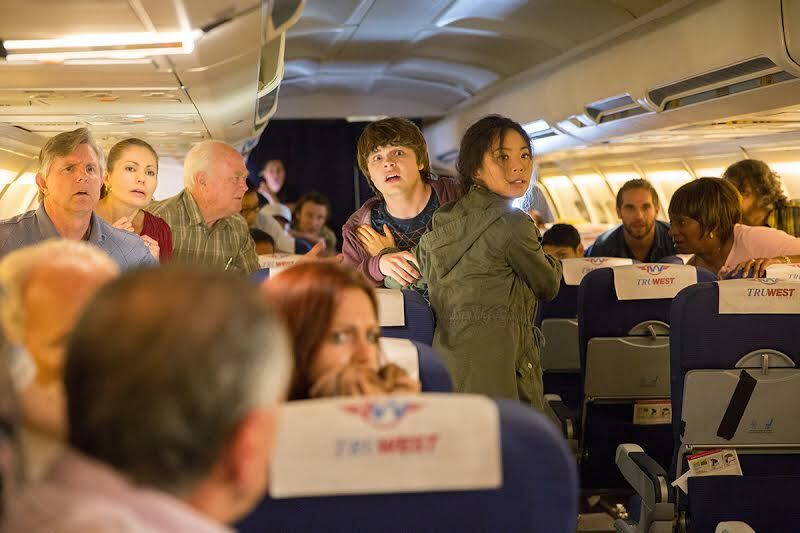 FEAR THE WALKING DEAD: FLIGHT 462 tells the story of a group of passengers aboard a commercial airplane during the earliest moments of the outbreak. Over the course of the series, the plane and the lives of its passengers are put in jeopardy once they discover an infected traveler. The series is written by L. Signorino and Mike Zunic and directed by Fear director of photography Michael McDonough. The first installment of the 16-part series will debut on AMC.com on Sunday, October 4th and will then air as promos during two commercial breaks within The Walking Dead season 6 premiere episode on Sunday, October 11th.